All wetsuits are basically the same – they are made out of neoprene. But after this the paths of wetsuit manufacturers go different ways. 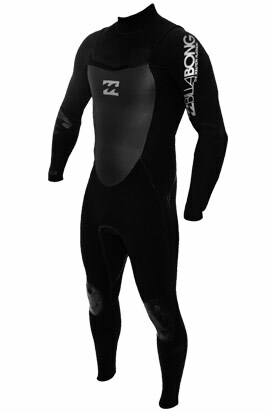 Wetsuits can be made specially for diving, for swimming and triathlon, for windsurfing and kite surfing and for surfing. Most of the information on this website is so general that is covers wetsuits for all the mentioned sports. Some info here is a bit specific and aimed at surfing wetsuits. But even so – it can be applied to any other wetsuit. Why? Because we think that surfing wetsuits are the most technologically advanced wetsuits in the market. How can you say surfing wetsuits are the best? The basic function of wetsuits is to keep us warm. This function comes with a tradeoff – to keep warm we have to sacrifice some flexibility. The thicker and warmer the wetsuits the less flexible it is. Less flexibility means your body and your muscles must work harder, they have to pull that extra layer of neoprene with every move you make. Now if we look at the needs of each individual water sport that uses wetsuits we can see that surfers are the most demanding customers since they want the best from both fields – wetsuit warmth and wetsuit flexibility. Sure, divers need warmer wetsuits (even dry suits) since deep waters can be very cold and because they must stay pretty calm and static to keep their heartbeats down. But by not being very active while diving the need for a really flexible wetsuit is eliminated and diving wetsuit manufacturers can focus on warmth. Then there are swimming and triathlon wetsuits – here flexibility is everything. They need their wetsuits to be as flexible as possible so they loose less energy while swimming. Even though triathlon swimmers can swim in the oceans and lakes, most of the times these temperatures are not as extreme as surfers are willing to endure to get that winter wave. Also the act of swimming means constant movement, constant exercise from the moment you enter water to the moment you exit. No sitting and waiting for the wave. So swimming wetsuits can sacrifice warmth for flexibility. Now we come to surfing – surfing wetsuits must have both: warmth and flexibility. Surfers are willing to surf at some ridiculously low temperatures and in stormy weather to get some waves since in some places this is the only time that there is possible to surf. Surfers also sit in the lineup and wait for the waves. While sitting and waiting your body cools down because if you are not active less heat is produced. So we need warmth. On the other hand when surfers are paddling and surfing they need all the flexibility they can get. Sometimes they need to paddle for a long time and with a stiff wetsuit pulling on their arms they could not get very far or last very long. This is why surfing wetsuits demand both. Windsurfing and kite surfing wetsuits are similar but still they can give up some flexibility for some extra warmth more easily. You need warmth for 4 hour cold water surfing sessions – good neoprene (with lots of air bubbles), blind stitched seams, liquid sealed seams (waterproof seams), waterproof zipper, thermal lining for added insulation. You need flexibility for long paddles and those fins free of the lips – the most flexible and stretchy neoprene and a wetsuit that is designed with surfing in mind (area around your shoulders is very important here, just like in swimming and much more than by other water sports). You need the look. Surfing does have a certain image that surrounds it and most of the surfers want their equipment and their clothing to honor that image. This is what we had to say about surfing wetsuits and about the wetsuit info that we share on this website. Browse our site to get more info on surfing on any other wetsuits.